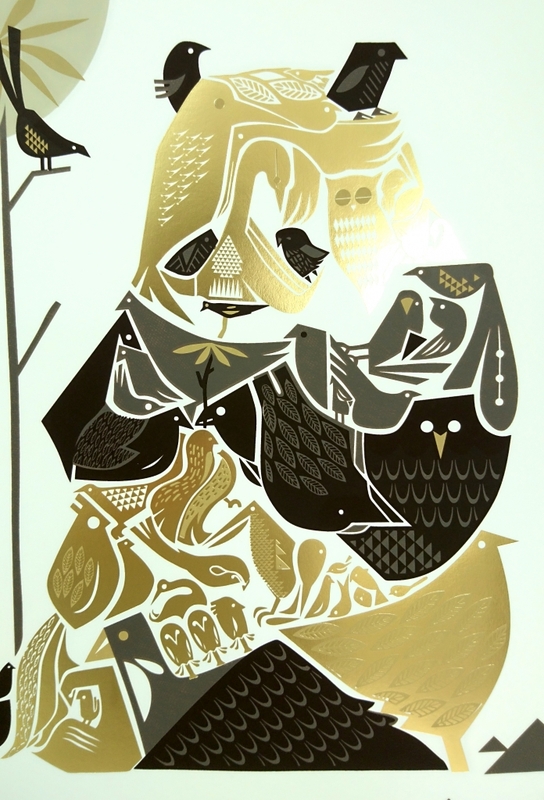 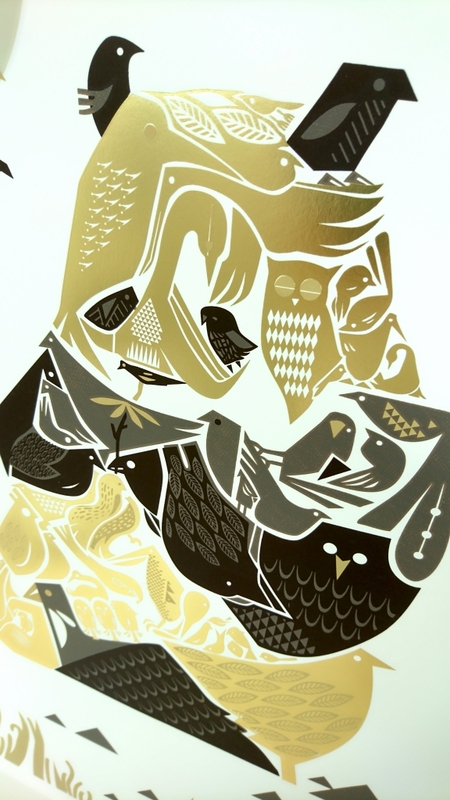 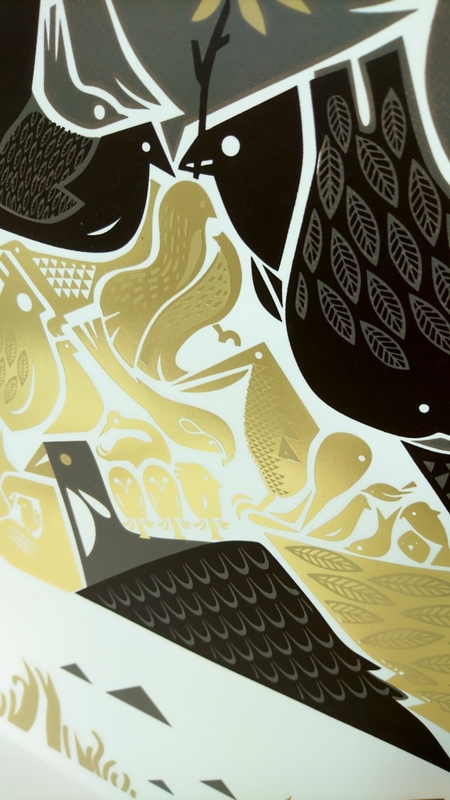 This beauty is a large edition of Graham Carters critically acclaimed Cirque De Bird, this time with a white background and gold foil detail. 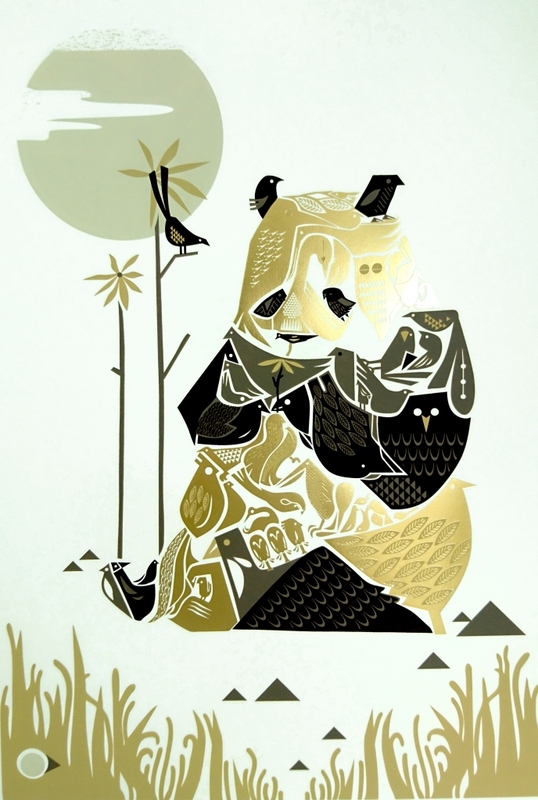 The Panda is designed using an intricate web of birds. 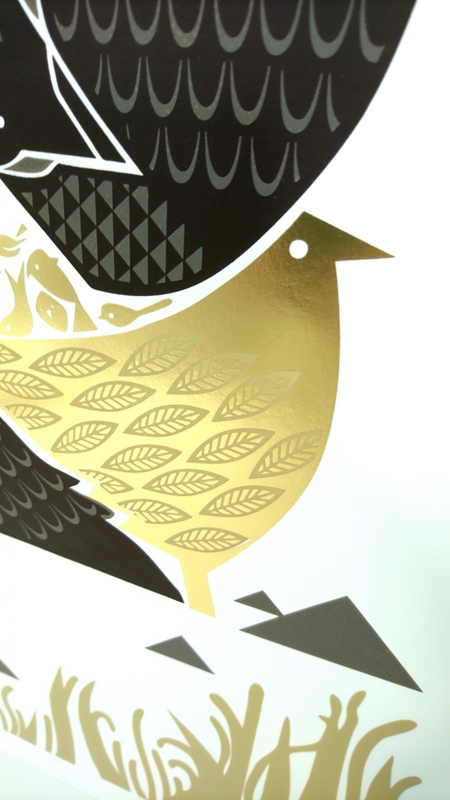 A stunning statement piece which would fit in any home.